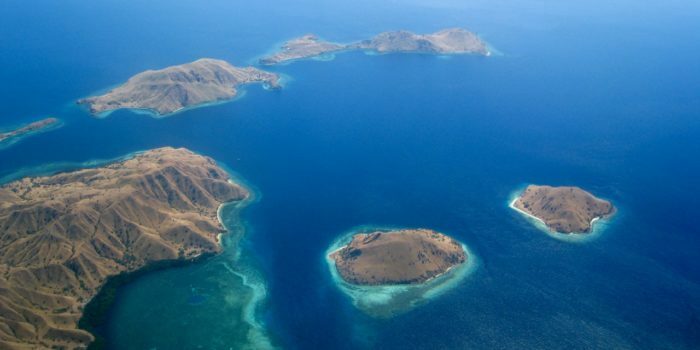 Komodo is among the 17,508 islands that completes Republic of Indonesia. The Island is famous and renowned due to Komodo dragon that is the biggest lizard on the earth. The Island is named after the dragon. The total area of the island is about 390 sq. Km and there are about two thousand people living in the Island. There people are of mix breed as some of them follow Islam but there are also Hindu and Christian living in the Island. Komodo is among the Lesser Sunda Chain that makes Komodo National Park. This Island is between Sumbawa and Flores Island and total area of 390 Sq. Km. When we talk about the history of dragon, there were various stories about the dragon in the Island and it has gained a lot of attention but no one has ever visited to check the authenticity of the stories. In the year 1910 a Dutch sailor from the Flores was the one to notice the mysterious creature. The Dutch sailor revealed that the dragon is measured about 23 feet long and it spat fire from the mouth. After listening to the stories the Dutch Colonist plan a trip to this Island to check, he accompanied some soldiers and a team, Hensbroek after few days killed the big lizard. After proper checking, it was revealed that the dragon is of similar shape to the lizard. Later on after some research and capturing more lizards, it is revealed that they don’t throw any fire they are just big lizards. Over the period of time Komodo dragon has become a legend. The Komodo Island is consisting of three islands that are Rinca, Komodo and Padar. There are some other small islands and some marine land that makes 1817 km. Timor Deer, Endemic rat and scrub fowl are among the top spices of the national park of Komodo. The marine environment of Komodo Island is rich as it contains coral reef, seagrass, sea mounts, mangroves. There are about 1000 different spices of fish, 70 different spices of sponges, 260 different types of coral, dugong, manta rays, and sharks. Whale, dolphins and turtles are also found in different spices in the national park of Komodo. So you can say it is Biodiverse Park. The administration is trying to protect the biodiversity of the park and help in breeding of commercial fish. They are working to decrease the threats to both environment and resources.